Understanding the background to aviation is even better than flying itself. Our course enables you to either develop your knowledge of aviation technology or train to be a pilot. Afterwards, it’s time for ‘take off’ as you embark on a career in the national or international aviation industry. 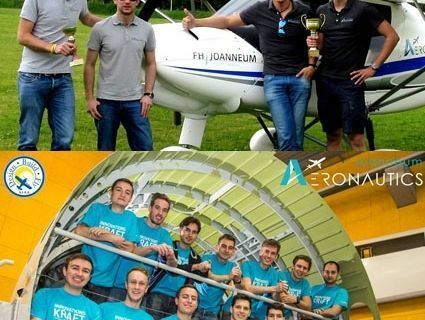 … that our bachelor course in Aviation is unique? We are the only university in Austria to cover the full scope of aviation as a discipline since 2001 – from aircraft design to air traffic control and management. … that you can acquire a radio licence during the first year of your course? During the first year of the course, we offer a wide range of subjects to provide a basic grounding in aviation – from aviation technology to meteorology and navigation. This also includes the official AFZ Radio Licence. … that you can take part in current research projects? 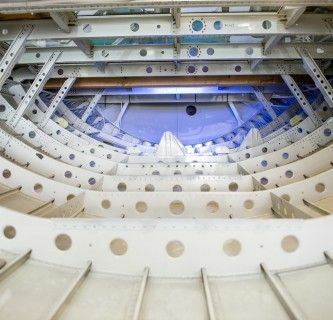 We undertake a range of research activities from aircraft and drone design to aerodynamics, aircraft electronics, flight control and flight simulation. You will form part of the research team as part of your project work! … that you can acquire your licence to become an airline pilot? If you are allocated a training place at an airline or flight school, you can complete your pilot’s training during the third year as part of an internship. … that you will receive training in project management during the course? We run a separate lecture course to prepare you for the examination to become a project manager or certified project manager, thereby giving you a head start in your subsequent career.